Michael Mayer, Ph.D, who has been in private practice in the Bay Area for 30 years, is a licensed psychologist (PSY 9561 and certified hypnotherapist). His approach called Bodymind Healing Psychotherapy (BMHP) combines traditional forms of psychotherapy with Eastern and somatic approaches to help patients find a new life stance towards psychological issues. His BMHP book has received endorsements from leaders in the field and a positive review from PsycCritiques. He is author of twenty publications on psychotherapy and body-mind healing. 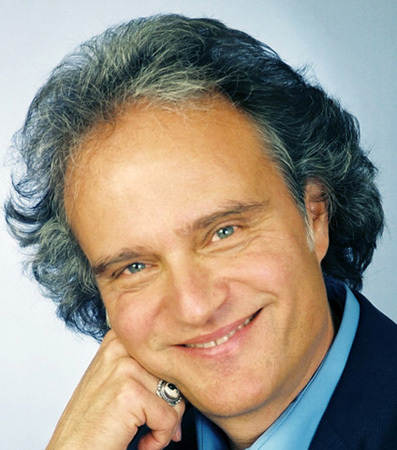 Dr. Mayer is a diplomate and fellow of the American Association for Integrative Medicine; and he co-founded and serves as a practitioner at The Health Medicine Center, a multidisciplinary integrative healthcare clinic. Dr Mayer is also a couples’ therapist who wrote the book on his approach called Trials of the Heart: Healing the wounds of Intimacy. Western Bodymind Healing Methods including guided imagery, hypnosis, relaxation methods. Qigong is a many thousand year-old method of cultivating the energy of life through breath, movement, awareness touch, sound, and guided imagery. Recent research has demonstrated that Qigong has the ability to lower blood pressure, increase balance, and help with a wide variety of chronic diseases. The Wall Street Journal says it’s the hottest trend in stress relief. Many people think Qigong is about graceful movements; but Qigong also has static practices that can be done in stillness. Many people think Qigong is about practices that relax; but Qigong is a unique time-tested practice that simultaneously relaxes and energizes. Dr. Mayer pioneered the integration of Qigong with Western bodymind healing methods. Energy Psychology is a leading edge psychological approach that adds acu-point self-touch and other methods to increase effectiveness of treatment. Dr. Mayer’s book, Energy Psychology: Self-Healing Practices for Bodymind Health (North Atlantic/Random House, 2009), broadens and deepens the scope of energy psychology. Focusing, developed by Dr. Eugene Gendlin, is a method of inner accessing that helps you to identify the felt meaning of somatic symptoms in a way that an energetic shift often takes place as the way your body holds an issue let’s go or changes. Dr. Gendlin won a Most Distinguished Psychologist of the Year Award from the American Psychological Association. Dr. Mayer was Dr. Gendlin’s East Bay Focusing training coordinator for 10 years. Please visit my website at drmichaelmayer.com, where you can see my private practice brochure and download articles (Chapters from my new book) with self-healing methods for anxiety, hypertension, insomnia, chronic pain, depression, etc.